Rumour No. 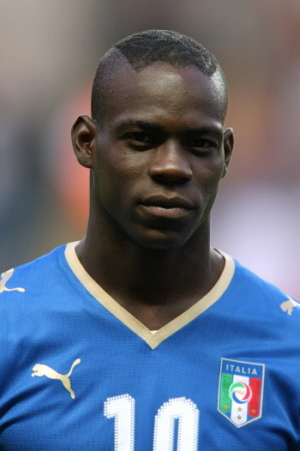 1: Arsenal are preparing a €25 million summer swoop for unsettled Inter Milan striker Mario Balotelli. The 19 year old forward is said to be seeking an exit from the San Siro after finding his match day temperament called into question one-too-many times by Inter coach Jose Mourinho. Rumour No. 2: Manchester United are lining up a bid for Sogndal centre back Even Hovland. 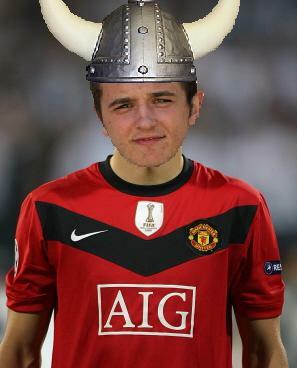 The 20 year old defender has been dubbed ‘The Norwegian Vidic’ due to his strength and commitment, and is said to have ‘hugely impressed’ Sir Alex Ferguson during a two week trial at United. Hovland even completed a medical at Carrington during the second stage of his trial period, so the way is seemingly paved for a summer move to Old Trafford – but will ‘The Serbian Vidic’ still be there when he arrives? The Best of the Rest: Racing Santander starlet Sergio Canales is on the verge of agreeing a deal that would see the Spanish prodigy join Real Madrid in the close season. Just when it seemed certain that Franck Ribery would be a Real Madrid player next season, it appears that the Bayern Munich star is still considering offers from Chelsea, Manchester United, Manchester City and Arsenal. Cesc Fabregas loves London and Barcelona. Make of that what you will. Wigan Athletic defender Erik Edman is in talks with Helsingborg over a return to Sweden. Aston Villa midfielder Isaiah Osbourne (who has just returned to Villa from a loan spell at Middlesbrough) will join QPR when the loan window opens. If i was Belotelli, i would have already left Italy for Spain or England and have given my fellow italians the middle finger by applying for a new passport in a country that can handle an african immigrant. Ha!! Yeah because Engerland is such a welcoming place for african immigrants!! You Clod!